Well we had a very low food waste day yesterday. There were only two of us at home during the day though so that did make things easier. There was no waste at breakfast, no waste at lunch and no waste at dinner – hooray! There was a problem with some blackberries in the fridge though. 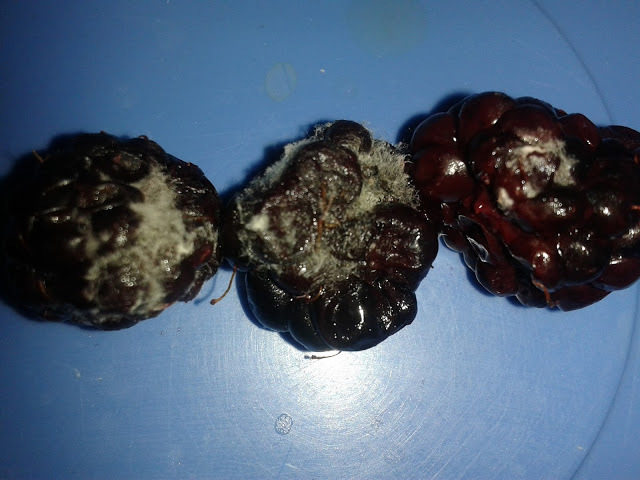 We have been on a massive blackberry picking spree recently and some of them were starting to go a little mouldy. 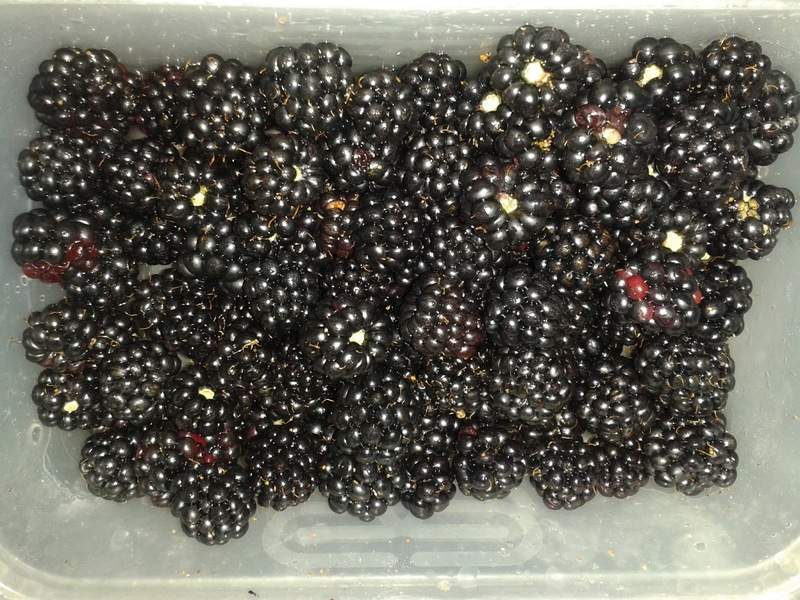 There are so many places to pick blackberries really near our house and we got these just from our garden yesterday! I had been planning to make blackberry jam, so decided now was the time to do it before any more went mouldy. I have a really simple pectin free recipe that I used last year and spent the evening making it. The recipe calls for 2 tablespoons of freshly squeezed lemon juice, which just happened to be the exact juice of one lemon. I didn’t want to waste the lemon peels, so I put them in a jar, added water and put it in the fridge. 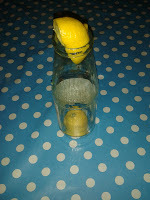 The lemon water will make a lovely drink and can also be used for cleaning. Note: I used washed unwaxed organic lemons – I’m not sure it would be a good idea with waxed lemons. I made 5 jars of blackberry jam which I stored in some old jam jars. I put 4 jars in the freezer, making sure to leave a gap i.e. not fill the jars up to the brim and only leaving the lids on loosely while they were freezing to prevent exploding jars. This morning they were all nicely frozen and I screwed the lids on tightly. I have left one jar in the fridge and the kids will have it when there are no fresh berries left with their yoghurt which they often have as a dessert! 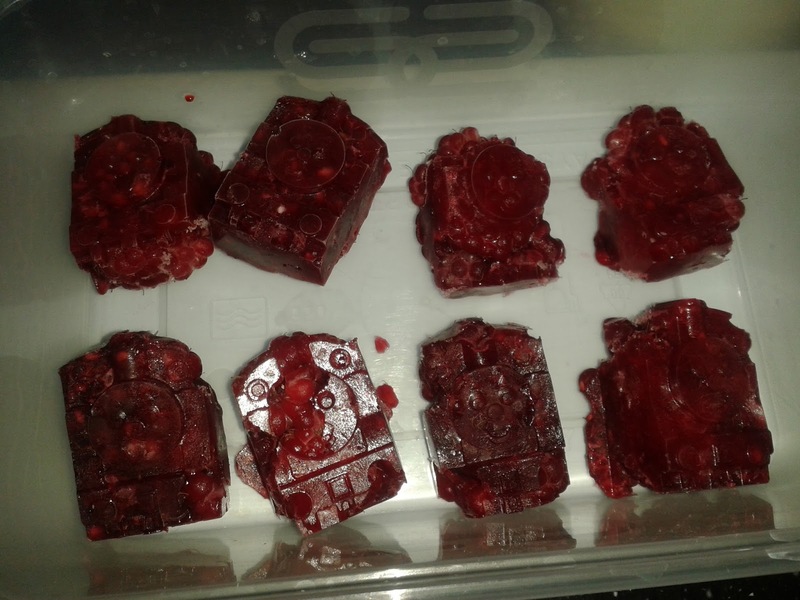 I wanted a sugar free option too though and I froze raspberries that we picked at the farm the other day in ice cube trays for use throughout the winter. These ones were frozen in a Thomas the Tank Engine mould! We have no berries left in the fridge now, so I don’t need to worry about them going mouldy. I do need to keep an eye on the ones in the garden so we don’t miss them at their best! If you want a recap here was Food Waste Diary Day 1 and Food Waste Diary Day 2 which I am doing in preparation for National Zero Waste Week! This entry was tagged berries, blackberries, eco, Food, food waste, Foraging, Frugal, Green, grow your own, rubbish, thrifty, trash, waste, zero waste. Bookmark the permalink.